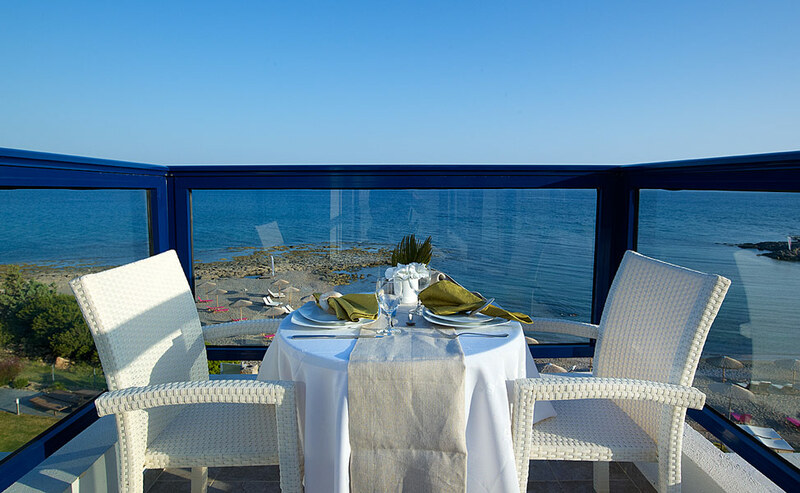 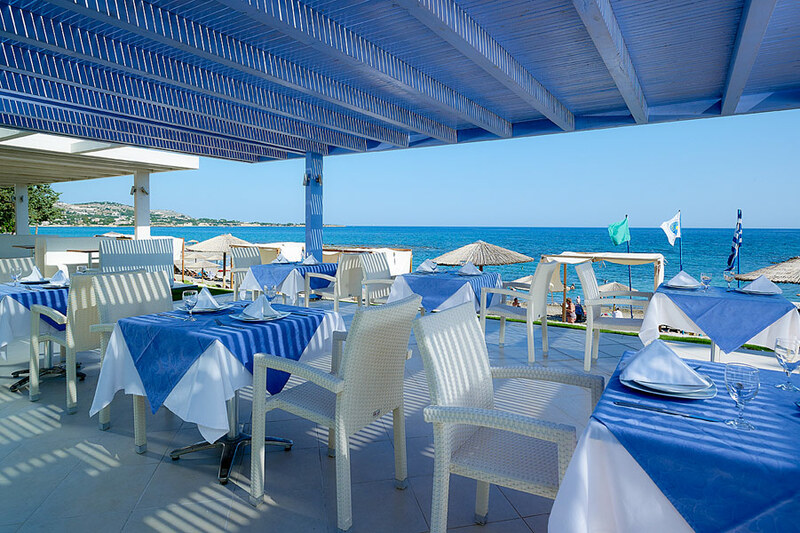 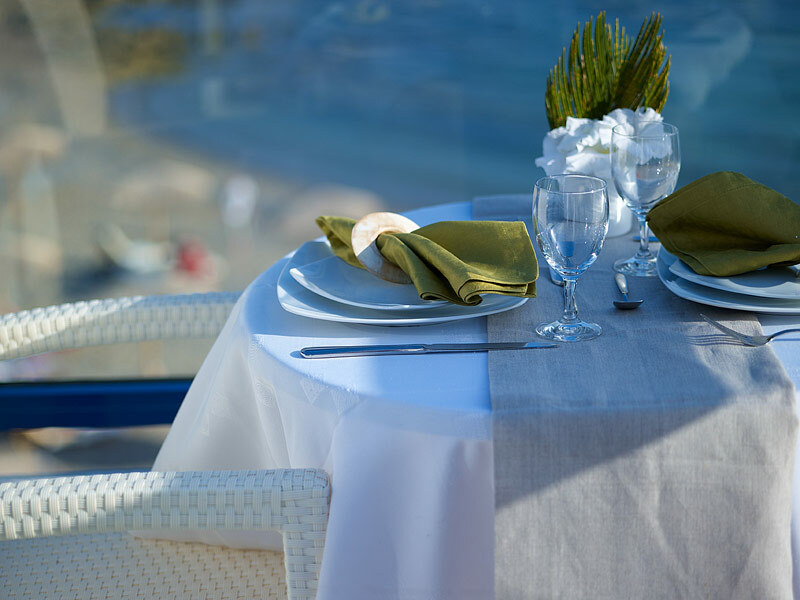 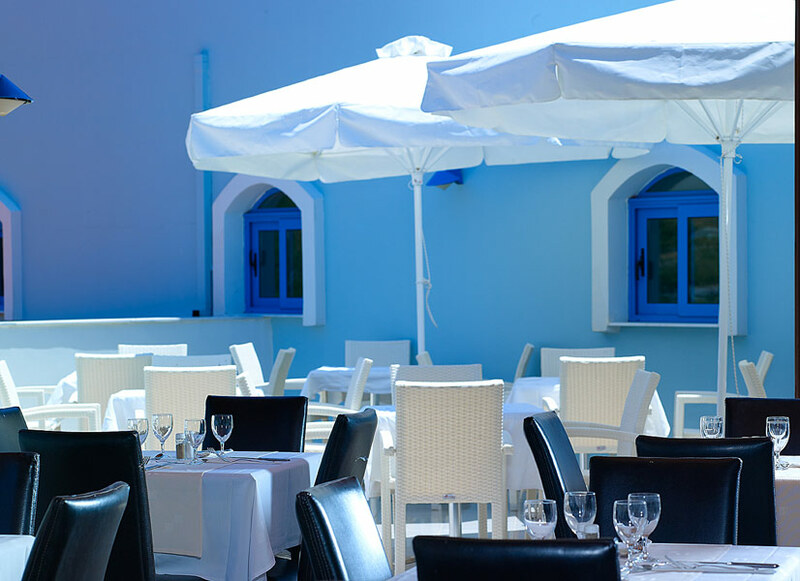 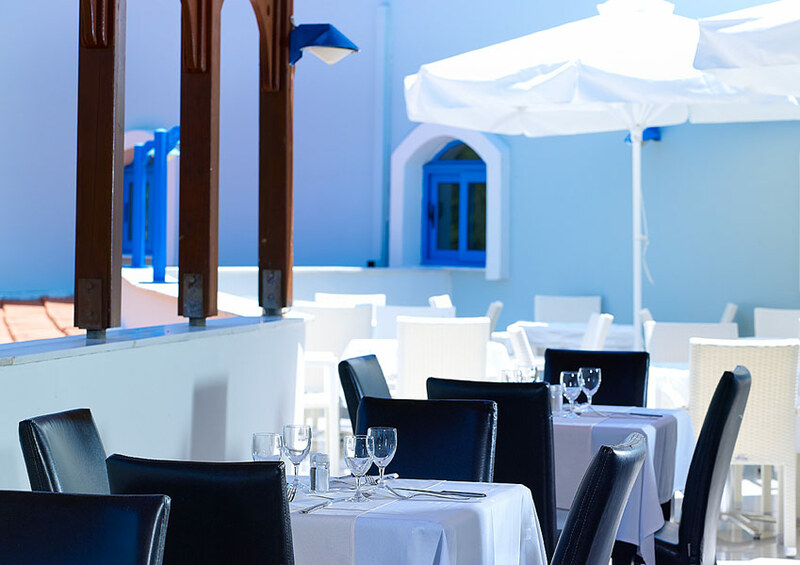 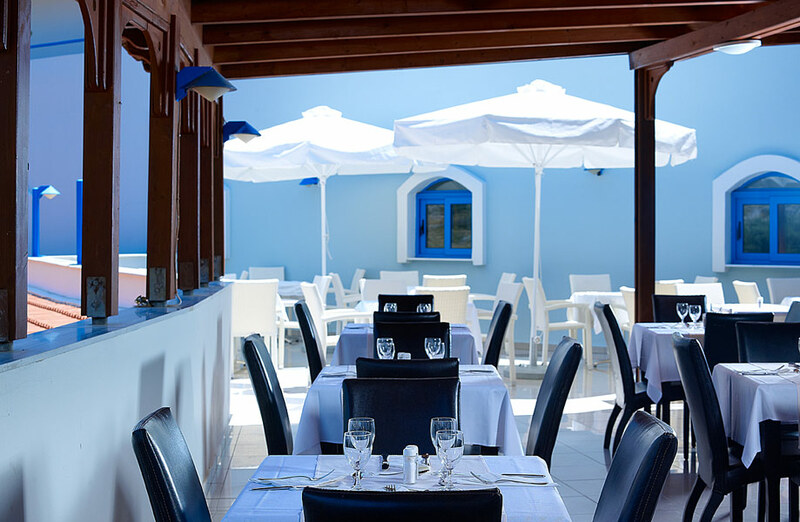 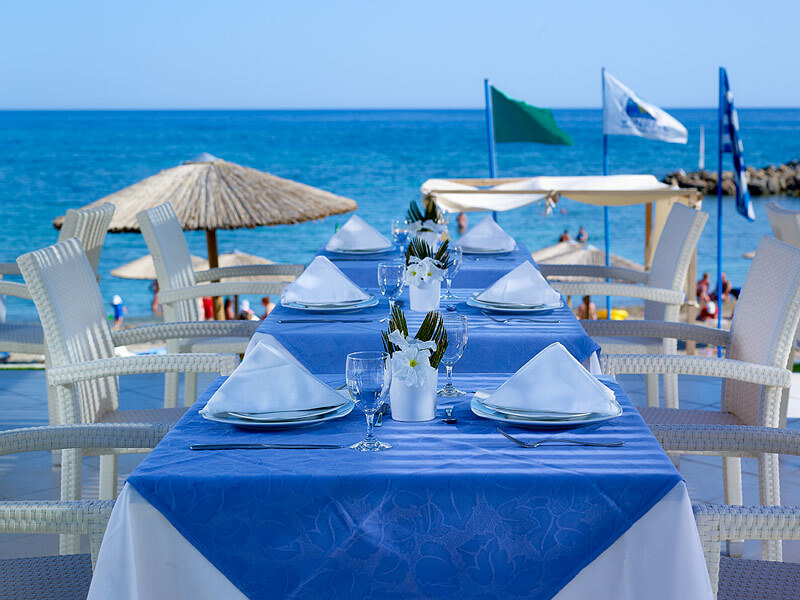 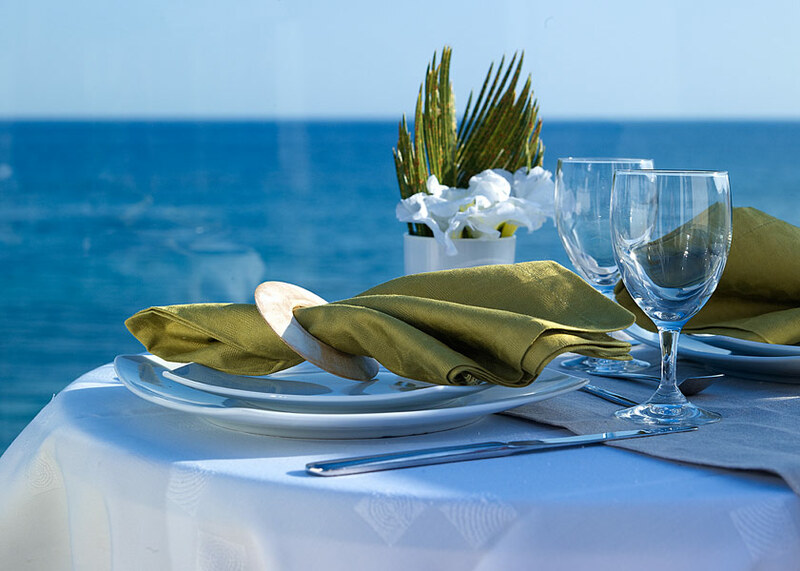 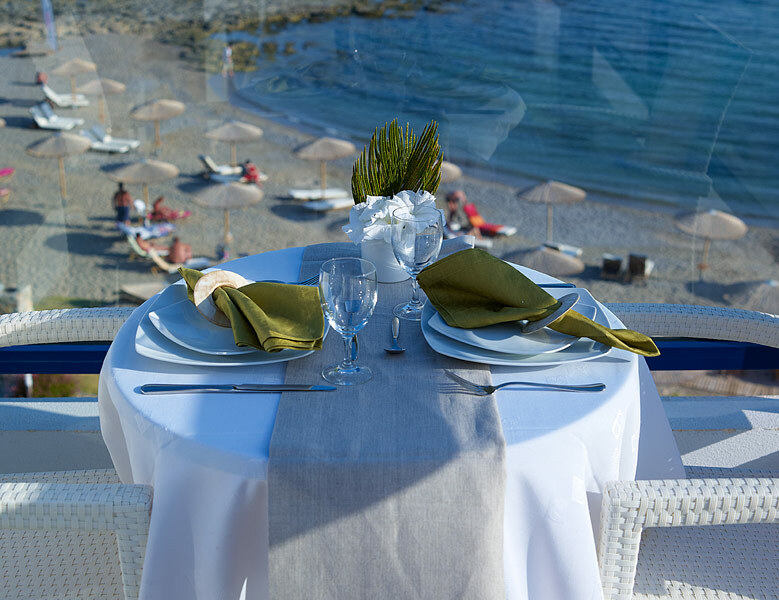 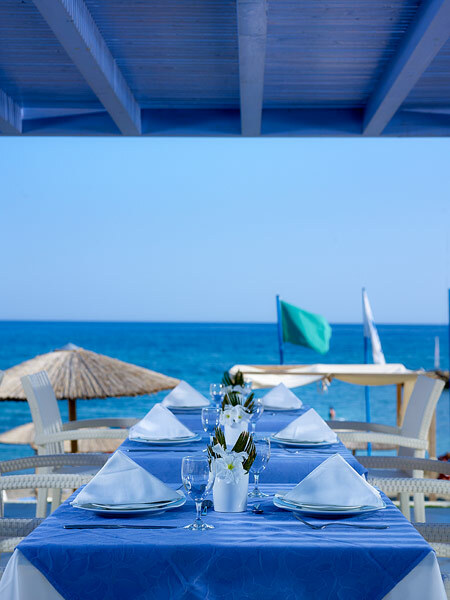 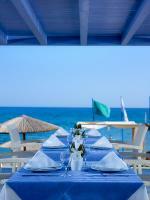 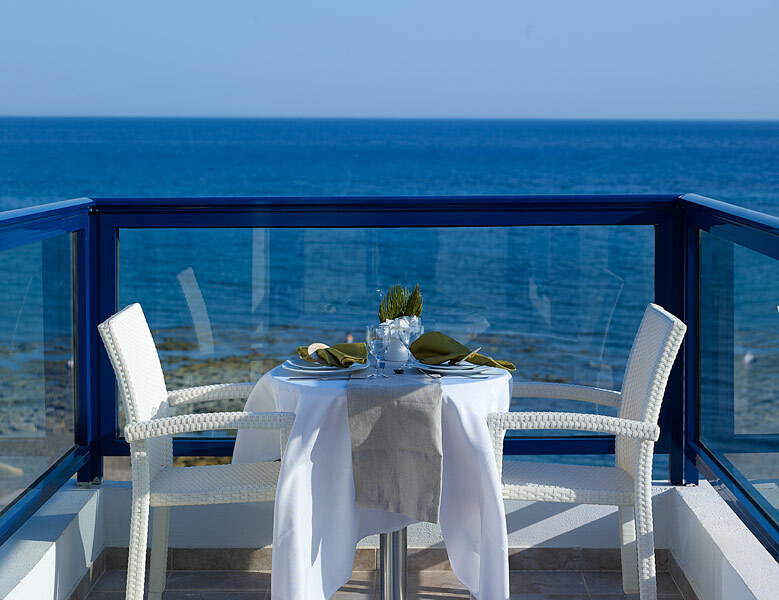 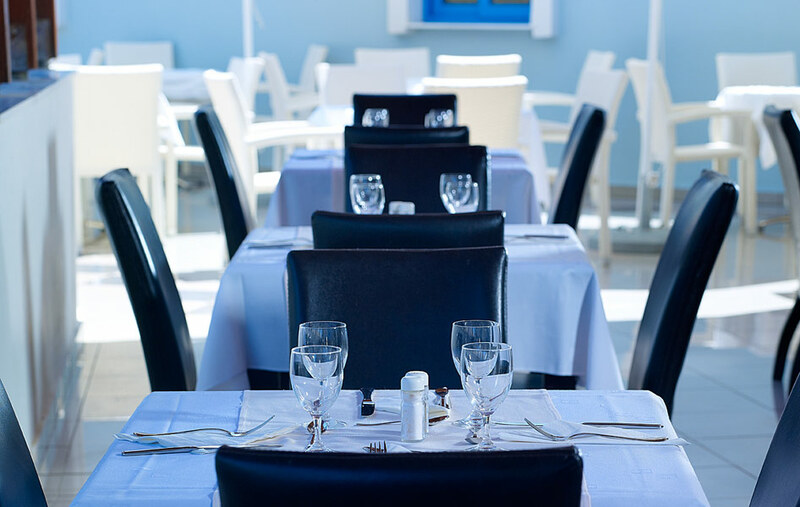 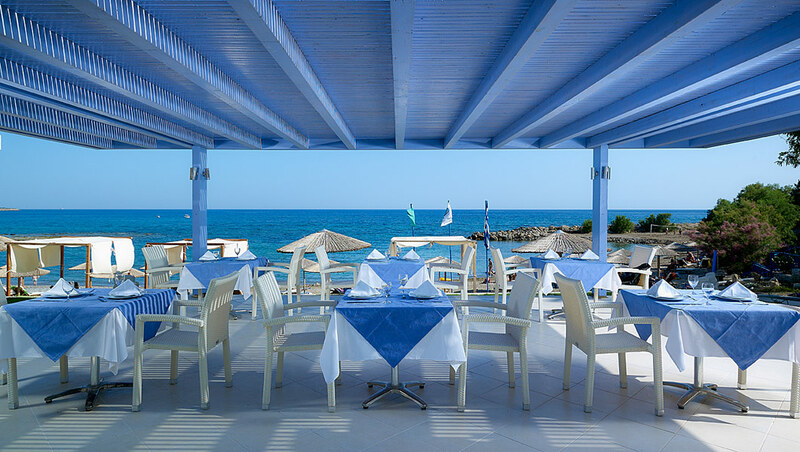 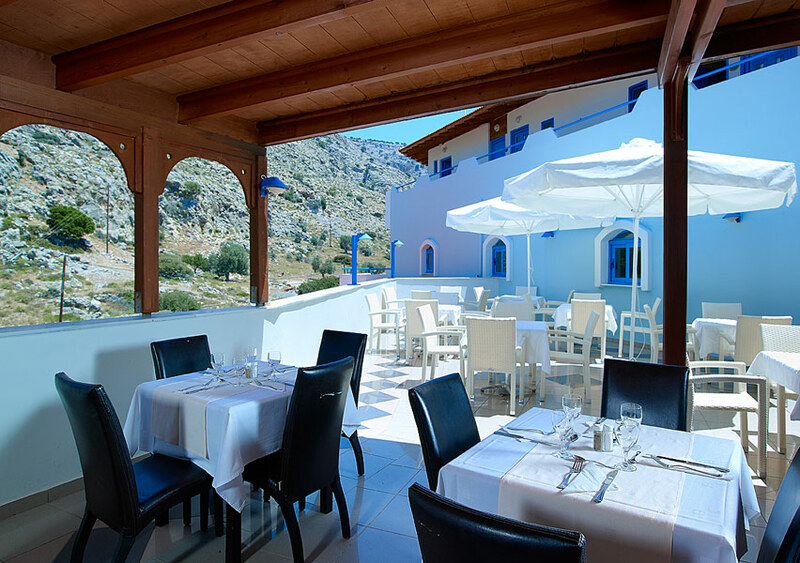 Our restaurant is in a premium location surrounded by our gardens and with a view to the sea. 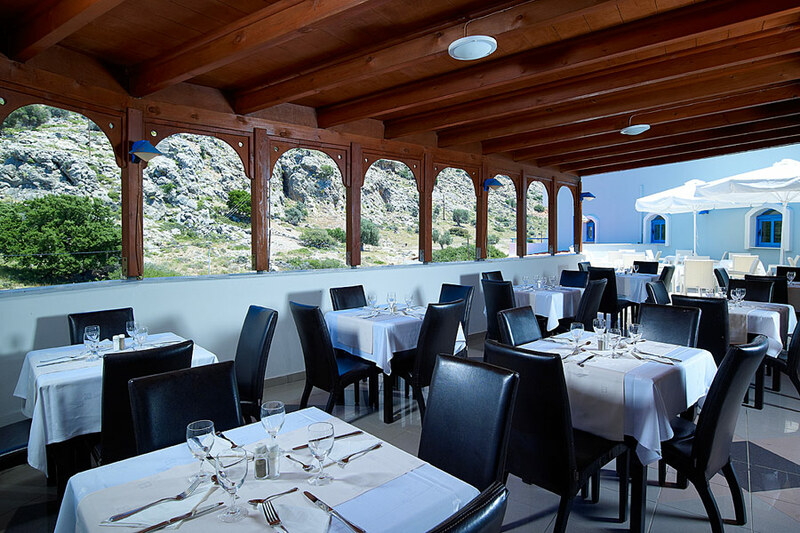 You will enjoy your breakfast in the first morning hours and you will return sometime around noon to enjoy your meal in our buffet. 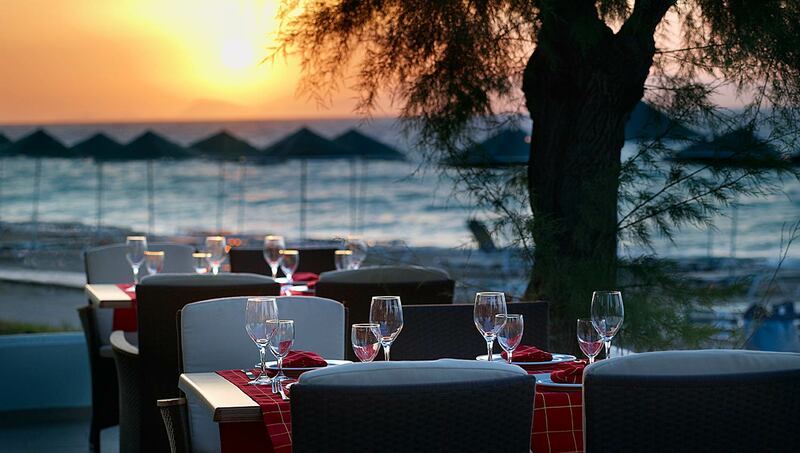 International as well as Greek flavors await you and you will have to try one of our local wines.